At the end of March a very special person passed away, quietly, with some anonymity, probably quite lonely. I believe, however, that in many ways she will always live in many people's hearts. I got to know Maria in 1997 when I decided to move from Baltimore, where I had studied for the previous four years, to London. I remember coming down the narrow stairs which led to her tiny little basement apartment located in the lower class neighborhood of Kilburn. Maria opened the door and escorted me in. It was a very simple looking apartment, somewhat dark, unassuming, and without much room to move or something that catches the eye, only a few historic photographs of great musicians including one of the legendary Artur Schnabel. A grand Yamaha piano was waiting at the corner. As I walked in I instantly felt certain intensity and inspiration. This was a place for music and for memories. Maria looked quite fragile yet incredibly radiant. Her laser beam eyes were extremely penetrating. They projected nobility and at the same time childishness with a hidden smile. It was so unique, so rare. After pouring both of us "hand made" espresso, she immediately questions me about my musical preferences, choices, goals and so on. There was such fierce attention in her. Thereafter, I sat down to play for her. I remember so vividly on that occasion, as well as on many others how acute was her aural perception. Whether it was Chopin, Schubert, Beethoven or Ravel, she would describe in just a handful of words the exact detail that ended up transforming our experience of the music, our experience of that particular passage on its own and as a part of the whole piece. She had her way of clarifying the music as well as the technique to achieve what her inner-ear was asking for. At times she would sit at the piano to demonstrate. Any person who had the privilege to hear her play would never forget how the piano sounded in that gloomy dry space; her velvety sound, like melting gold. Her pearl like touch was haunting. In her hands the piano was limpid, translucent and above all it sang! Nothing seemed to matter when listening to her. It was pure music, pure poetry, and it sounded so simple, so right. She would then get up and assert: "we must hear what we see and see what we hear!" I knew that this was my new home. Maria had the ability to adapt to each student, and in time to make him feel liberated. 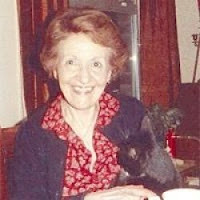 She liked quoting her revered teacher Artur Schnabel: "if you cannot sing it you cannot play it Schnabel used to say." Vocal, singing line was of highest importance. From years of working with singers, she had a natural understanding of the shape of a phrase - when to breathe, when to inhale, and when to exhale. One could never escape hearing Maria speak about that: "pianists have to take breaths as singers do." And then there were dinners in which she invited different students and close friends. She would make her own Pasta. "Would you like today green pasta (with basil) or red pasta (with tomatoes)?" she would ask. Getting fresh ingredients - fresh salmon, home made Italian ice cream - was of utmost importance! This was a family affair, and she made us feel very close to her heart. We probably were. We listened to Maria's forthright views - both positive and negative. I always admired her strong held opinions and the directness that she expressed them. Her shy exterior would only conceal these opinions from those she would not want to share them with. She would embody many characteristics that seem to me of a different time, of a lost world - her generosity, her dignity and nobility, as well as her unique elegance when being in a company of people. I will never forget that, and I will never forget her piercing eyes and ears when she was in the company of music.